The key to investing success is finding asymmetric risks and rewards. Over time, if you consistently invest your money into assets with small downside potential but huge upside potential, you will see huge returns. It is a well-documented fact that finding asymmetric risk through the stock exchange is a struggle. Professional fund managers who invest in Large Cap US based stocks fail to beat the S&P 500 index 79.59% of the time over the most recent ten-year period. Most people will admit that they do not have the stock market investing knowledge, skills, insights or abilities that professional fund managers have. Those that believe otherwise are either deluding themselves or are already well on their way to making millions or even billions of dollars. In general, most people will see their best returns in a broadly diversified portfolio of low cost, passive stock, bond, real estate and maybe commodity funds. You can do this at a very low cost through your company 401(k) or a RoboAdvisor like Betterment or Wealthfront. Most market investors are their own worst enemies when it comes to stock market investing. Chasing returns often leads gains eroded by fees. I say this to warn you that the tool in this review is not for everyone. It is a tool for curious stock market investors with an appetite to become true experts. It could be dangerous in the wrong hands. 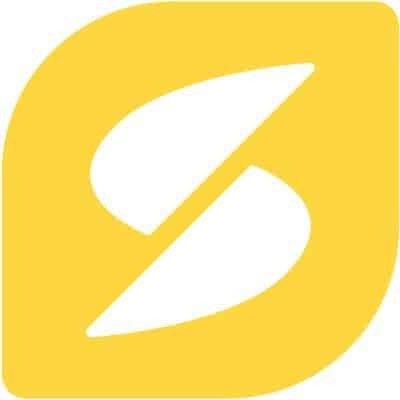 Sparkfin is an app that features financial information, insights, and socially curated watch lists that can help stock market investors find their next great pick. One thing that I love about Sparkfin is that it doesn’t pretend to be more than it is. It is not a tool to implement an investment or trading strategy. It is a tool that helps you discover stocks that you should consider trading. Sparkfin is investing style agnostic. It provides access to both fundamental and technical indicators. It also includes a social component, which allows you to view the stock lists of other users and experts. The social watch lists differentiate Sparkfin from most other investment discovery platforms. 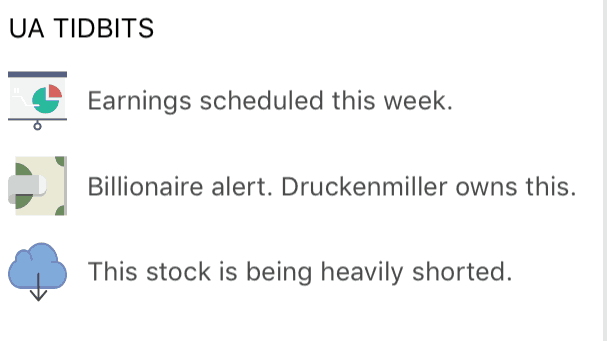 When you create an account with Sparkfin, the app sets you up with a standard “Watchlist.” The watchlist includes stocks like Google (GOOG), Apple (APPL), Tesla (TSLA) and other huge names. As you curate your list, you can choose to share your list with other people. Many experts display themed watch lists in their area of expertise. Watchlist shows stocks you care about. Clicking on a ticker symbol brings up basic stock indicators. You’ll see stats on 52 week high and low prices, and charts showing the price over a day, three months, six months and one year. 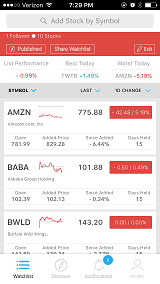 The app also gives you visibility to key metrics you might want for a momentum trading strategy. This includes the current volume and the average volume. It’s not entirely clear what period average volume measures. It’s standard to measure average volume of a one year period. In either case, the app alerts you when the daily volume exceeds average volume significantly. Price and volume chart. 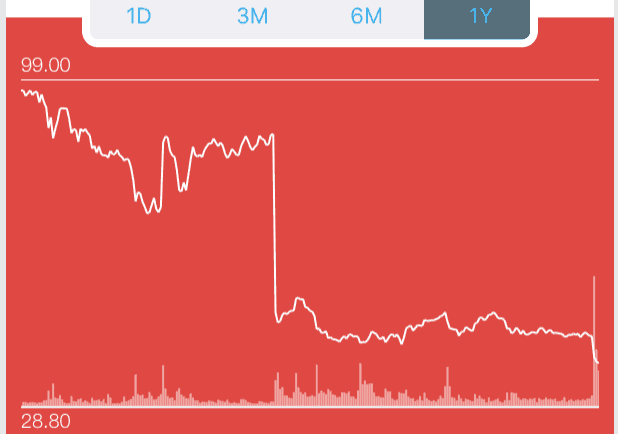 Notice the price the day that Under Armour split its stock. You’ll also see the market cap, Earnings Per Share (from the most recent earnings call), the P/E ratio (price to earnings ratio, and the average P/E (I also assume this is from the prior year). Anyone with an Under Armour position would take a keen interest in buying or selling the stock based off of the expected earnings numbers. As a stock market dabbler, I got sucked into the platform. It was fun to jump from stock to stock, trying to determine if one or another might be undervalued. I loved the themed watchlists curated by the experts. For me, the strength of the fun factor was also its weakness. It will be easy for me to fall prey to the shiny penny syndrome. If I continue to use Sparkfin, it will be in conjunction with a solid portfolio analysis tool that can help me to abide by my own rules. 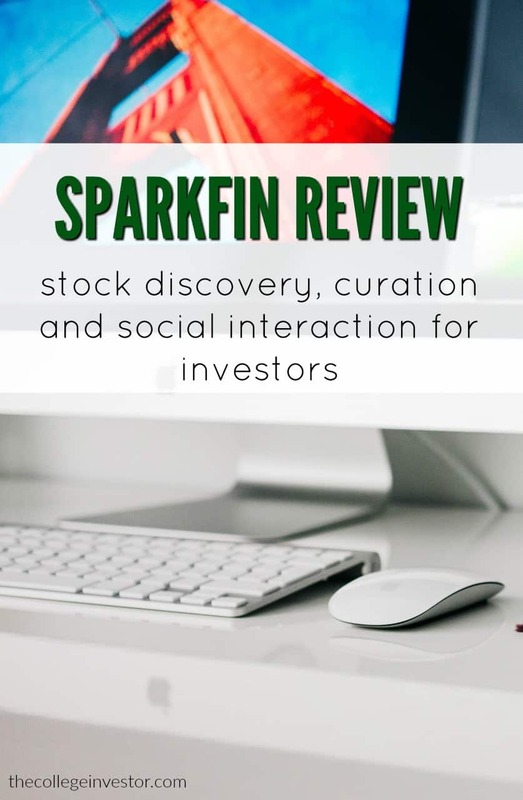 If you want to learn about stock market investing and active portfolio management, I recommend Sparkfin as a stock discovery tool. That is to say, you should use it, if you can trust yourself to invest strategically rather than emotionally. If you can’t, stay away. Sparkfin should not be the only tool you use when you start trading and managing an investment portfolio. Consider using DIY.Fund or Personal Capital for portfolio analysis. You should also pair the tool with a low cost broker like TD Ameritrade or Ally Invest.